The government and Barclays will lend 1 bln pounds to cash-starved small developers. It’s a neat way to help reduce Britain’s reliance on a few large builders. Yet a skills shortage as the country leaves the EU and arcane planning rules mean it’ll be a drop in the cement bucket. A worker drives a dumper truck past a house being built on a construction site in Chester, northern England March 20, 2013. The UK government and Barclays launched a fund on Sept. 12 to provide up to 1 billion pounds in finance to small housebuilders. Barclays will offer 875 million pounds and Homes England, a government agency, will provide 125 million pounds. 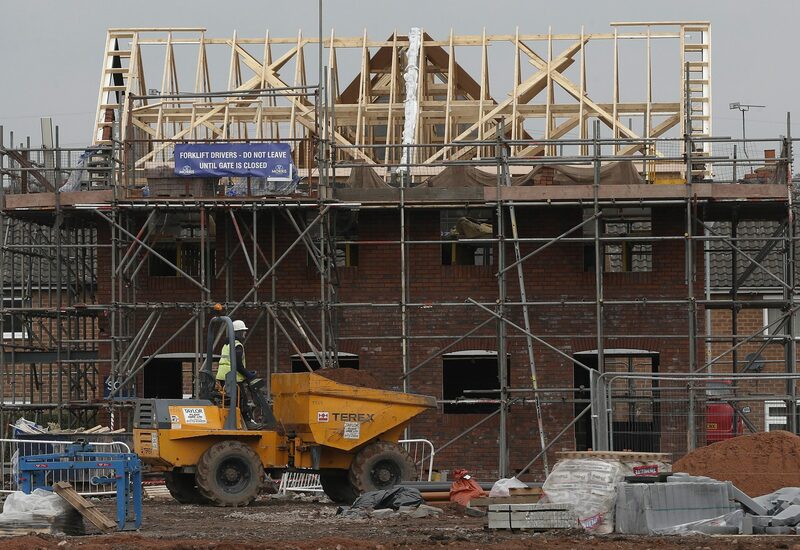 Britain’s government aims to increase annual homebuilding to 300,000 from 217,000 last year. The finance is targeted at small and medium-sized builders, who account for a much lower share of new construction than before the financial crisis.